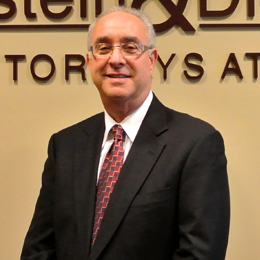 Robert H. Wolf – Alperstein & Diener, P.A. Robert H. Wolf currently focuses his legal practice in the areas of Trial Practice, Workers Compensation, Social Security Disability, Civil Defense, Personal Injury, Medical Malpractice, Mediation, Administrative Law, and Criminal Law. Mr. Wolf is AV rated by Martindale-Hubbell, an honor awarded by peer review and earned only by those attorneys who have reached the height of professional excellence, having achieved the highest levels of skill and integrity through extensive experience. Mr. Wolf graduated from the University of Maryland with a B.S. degree in 1970 and received his Juris Doctor from the University of Baltimore, School of Law in 1974. He was admitted to practice law in Maryland in 1974; admitted to the U.S. District Court, District of Maryland in 1975; admitted to the U.S. Supreme Court in 1978; and to the U.S. District Court, District of Arizona in 1994. Prior to beginning his legal career, Mr. Wolf served the State of Maryland by working in the Division of Parole and Probation from 1970 to 1974 and on the State of Maryland Inmate Grievance Commission from 1974 to 1975. He also held the position of Assistant State’s Attorney in the Office of the State’s Attorney for Baltimore City from 1976 to 1977. In addition, he provides service as a Civil Mediator for the Baltimore City Circuit Court as well as the Circuit Courts in Baltimore County and Howard County. Mr. Wolf has memberships in numerous professional associations, including the Baltimore County and Maryland State Bar Associations; the Maryland Trial Lawyers Association; the Baltimore City Bar Association; and the Health Claims Arbitration Commission where he has served as a Panel Chairman. Member: Baltimore City, Baltimore County and Maryland State Bar Associations; Maryland Trial Lawyers Association; Health Claims Arbitration Commission. Biography: State of Maryland, Division of Parole and Probation, 1970-1974. State of Maryland, Inmate Grievance Commission, 1974-1075. Office of the State’s Attorney for Baltimore City 1976-1077. Civil Mediator, Baltimore City Circuit Court, Baltimore County Circuit Court and Howard County Circuit Court.